I woke up puking yesterday. Last night, I drank some NyQuil and went to bed. Shortly before, I texted Trey and told him I was dosing myself and going to bed, and mentioned it would be great if he would take up the slack during Hate Week. You may have noticed that there was no new post by Trey. Thanks, buddy. 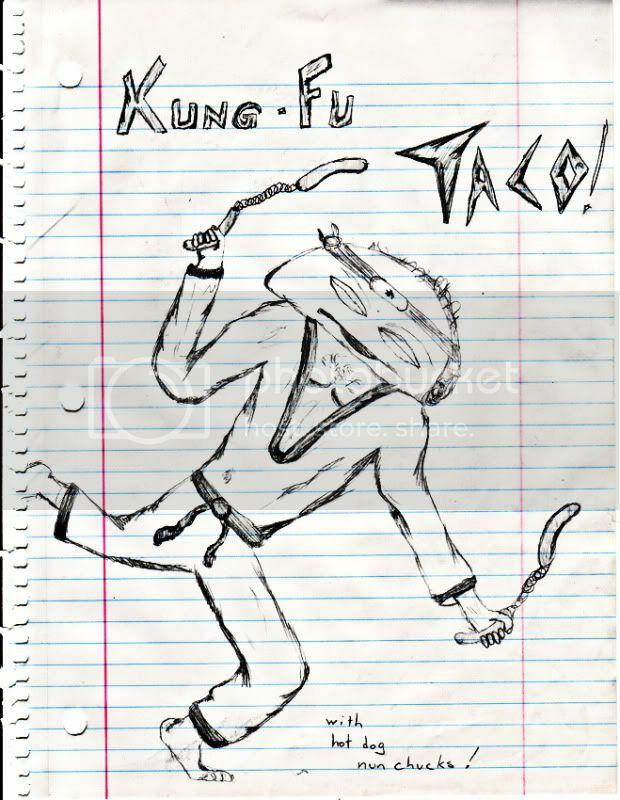 Anyway, so instead of that, here is Kung Fu Taco (with hotdog nun chucks).